Do you think that, applying Vietnam visa you only need to pay for visa fee? 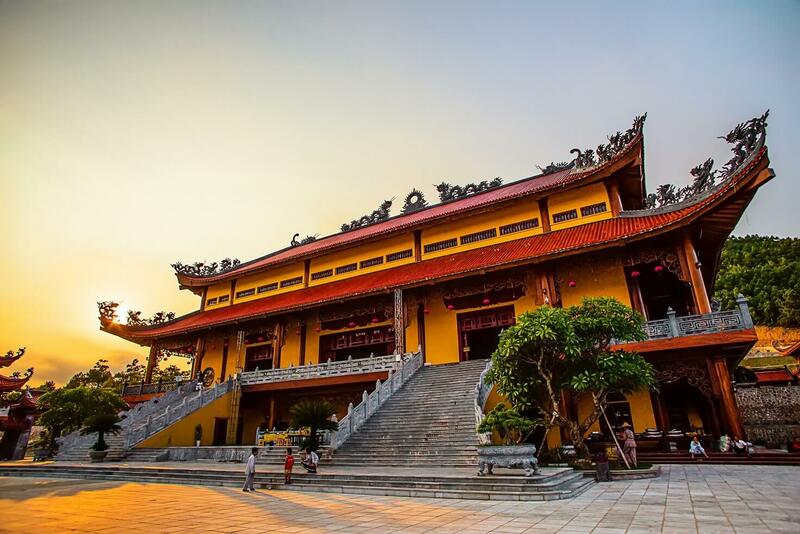 This section will show you that, there are many extra service and you can choose it, as well as Vietnam visa service fees you can pay. Vietnam, as any other countries, requires you a visa to enter. Fee for applying visa we have mentioned in Vietnam Visa Fee In Indonesia, so with this article, we will present generally all kinds of service fees that can occur in your applying visa process. Visa service fee is paid for the visa agent for their processing your Vietnam visa request. Why do you need to pay for this fee? Because the agent shall be representative for you to apply with the Immigration Department to get the visa approval letter in time as your booking. This amount is extremely small and you have to pay online in advance to get visa approval letter then able to pick up the visa on arrival at the Vietnam International Airport. 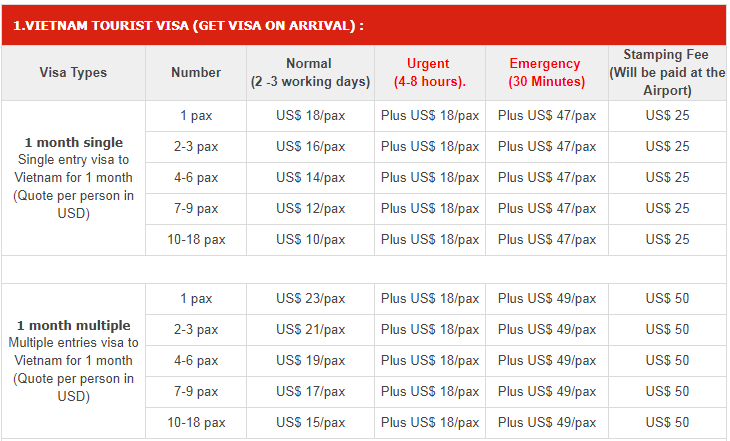 One of Vietnam visa service fees is stamping fee. This is compulsory fee when getting visa stamped on your passport, ruled by the Immigration Department. You can see the cost of stamping fee announced publicly at any legal Governmental website and on the landing visa counter at any international airport. This fee must be paid directly to the Immigration Department ‘s officer at landing visa desk by cash (in USD or VND) and receive the red bill for it. At Immigration Department ‘s officer, you need to show your visa approval letter and pay them visa stamping fee (because you had paid your service fee online). This fee needs to be paid in cash (either U.S. dollars or VND). The visa stamping fee is from $25 for one month, single-entry visas to $135 for one year, multiple-entry visas. 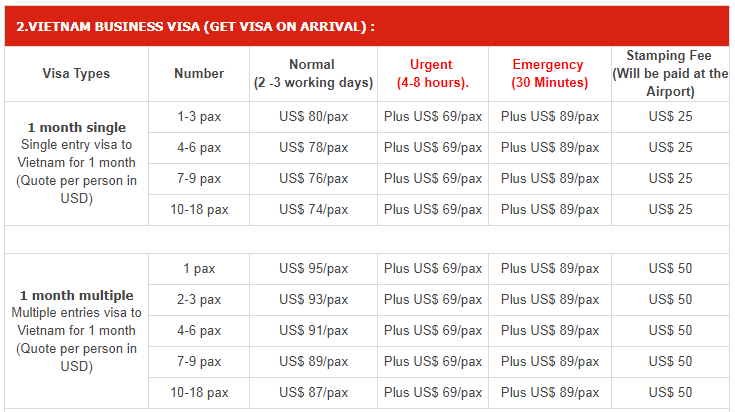 For further information, please kindly click Vietnam Visa fees in Indonesia. 3. It takes you 2 working days for normal processing and 8 hours for urgent processing to complete. Step 1: After completing visa agent application form, please provide exactly your flight number and arrival time (Vietnam Time is GMT+7). In case your flight is rescheduled, you need to inform them no later than 48 hours upon before you land (excluding Saturday, Sunday and national holidays). 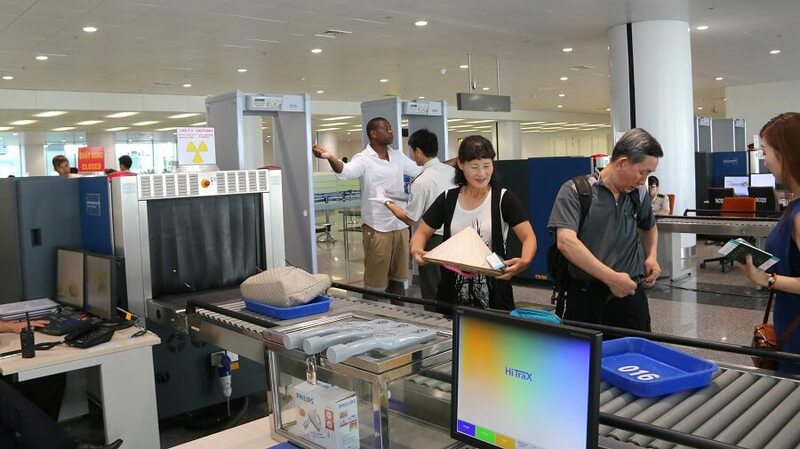 Step 3: At the airport, present our staff your visa approval letter, passport, 2 photos (4x6cm with white background), entry and exit form and stamping fee and subsequently our staff will handle all necessary procedures to get your visa stamped. Airport Fast Track: Avoid wasting your time and get line for getting visa stamp, our staff will handle all procedure for you. You will get visa faster others. Depending on Vietnam International Airport where you land, Airport Fast Track is different. It charges you from USD 18 to USD 20. Are you still confused anything? Let us know your worry by leaving a comment. We will help you with our best. For further information, you can read in our website Vietnam Embassy in Indonesia which provided for information and service purpose of The Vietnam Embassy.